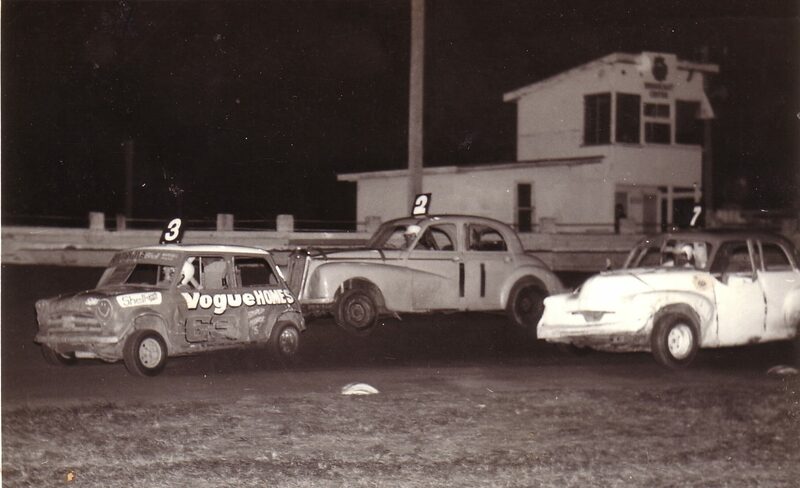 1970's - Barry Harrison Bill Martin and Stan Mathews provide some Friday night sedan car action. Photo: Tony Woods. 2013 - Photo's: Allan Baker.